Students examine art and architecture from various periods of ancient Egyptian history, including the Old and New Kingdoms. 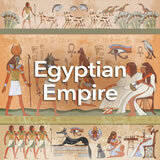 The genres include pyramids, tombs, sculpture, painting, and hieroglyphics. Then, students write a short description and critique of a work of ancient Egyptian art. In this experience, students examine art and architecture from various periods of ancient Egyptian history, including the Old and New Kingdoms. 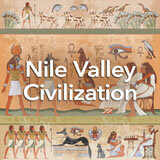 The genres include pyramids, tombs, sculpture, painting, and hieroglyphics. Then, students write a short description and critique of a work of ancient Egyptian art. The Student Pack article Egyptian Art provides excellent background detail on the functions, genres, materials, and social class connections of ancient Egyptian art. Sections of the article are used in the experience directly, but interested students can refer to the full article for reference. 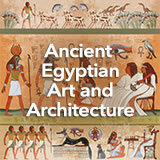 Describe the main features of Egyptian art and architecture. Art is one of the proudest characteristics of any civilization. Art expresses a civilization’s glory and its values. Art brings joy to a civilization’s people. 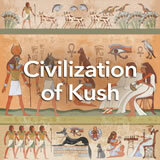 And art is often the aspect of a civilization that later civilizations appreciate most. 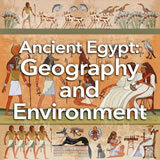 In this experience you will learn about the many genres, or art forms, that ancient Egyptians mastered. Who are the greatest artists you’ve never heard of? Well, of course you can’t answer that, since you’ve never heard of them. But some of them may be the team of unknown artists who painted the walls of the tomb of an Egyptian scribe called Nebamun in about 1350 B.C.E. 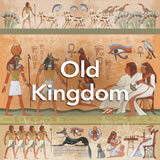 Go to Paintings from the Tomb-Chapel of Nebamun and scroll through the paintings, looking carefully at the details. Students do not need to read the text, only look at the photos of the art. What details or features do you see in the paintings? What do you like or dislike about the paintings? Discuss student responses. Then ask students to draw some conclusions about Nebamun and his family based on these images. Interested students can read the text in their own time. The Complete List of Learning Experiences in Ancient Egypt Unit.